Sun., Oct. 8, 2017, 8:56 a.m.
TOKYO – Japan’s Prime Minister Shinzo Abe said Sunday that his government fully supports the U.S. stance on pressuring North Korea over its nuclear weapons program, with all options on the table. In a televised debate Sunday among leaders of major political parties, Abe said North Korea had failed to deliver on past promises to give up its pursuit of nuclear technology made during “six-party” talks with Japan, China, the U.S., Russia and South Korea. Abe did not specifically comment on a tweet during the weekend about North Korea by U.S. President Donald Trump. Abe did say his government supports the U.S. stance that more pressure is needed and all options are on the table. 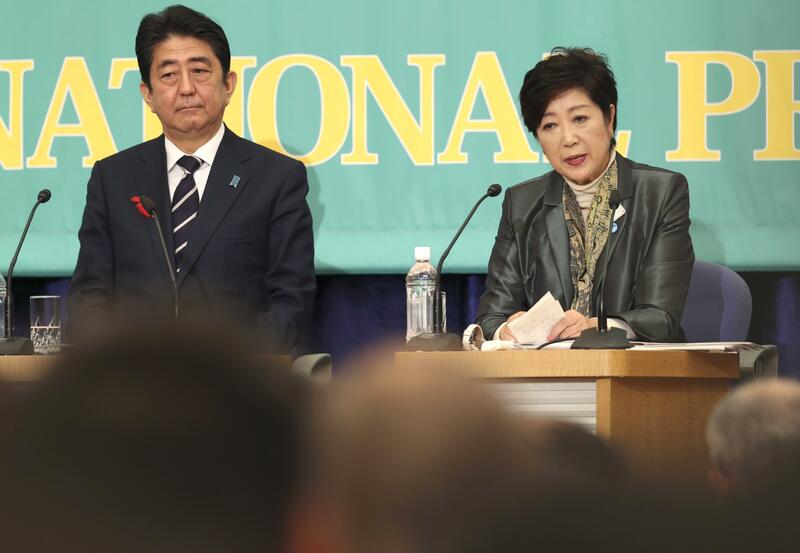 Concerns over North Korea are a top issue in a Japanese parliamentary election scheduled for Oct. 22. Published: Oct. 8, 2017, 8:56 a.m. Tags: Japan, North Korea, North Korea 2017, Shinzo Abe, U.S.